Qualitative research is a growing and ever more diverse field. The continuous development of new approaches, new methods and new techniques results in a wider and wider diversity in the literature – in books, in journals and on the Internet. Students, as well as experienced researchers, will find it increasingly difficult to keep up with these developments and with the range of methodological alternatives available for doing their own research projects. The Companion to Qualitative Research seeks to highlight and illustrate connections, common ground and differences in the heterogeneous developments of qualitative research. 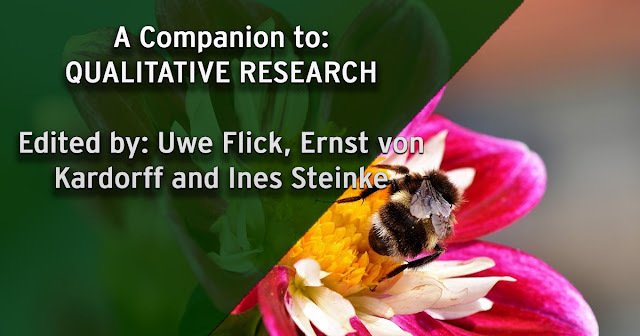 It intends to give readers a representative overview of the current landscape of qualitative research with its epistemological roots, its main theoretical principles, its methodological bases and the development of its procedures, and also to offer an impression of trends for further development. To achieve this, themes from current debates in the German- and English-speaking worlds have been brought together, so that the Companion takes a wider, international perspective on qualitative research with authors from Continental Europe, Britain and North America..
Pretende dar a los lectores una visión representativa del panorama actual de la investigación cualitativa con sus raíces epistemológicas, sus principales principios teóricos, sus bases metodológicas y el desarrollo de sus procedimientos, y también de ofrecer una impresión de tendencias para el desarrollo ulterior.